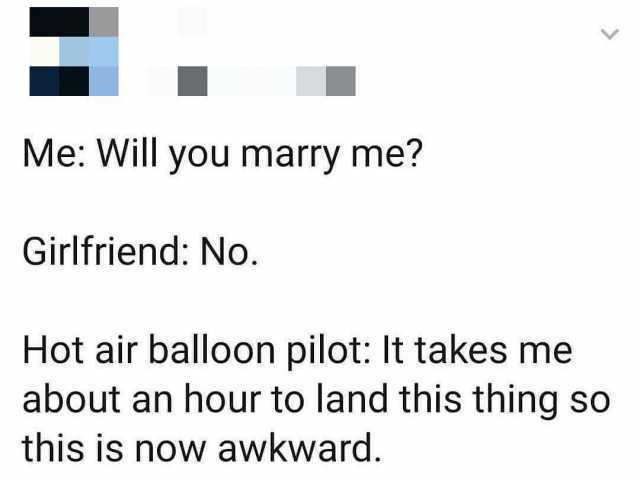 dopl3r.com - Memes - Me Will you marry me? Girlfriend No. Hot air balloon pilot It takes me about an hour to land this thing so this is now awkward. Me Will you marry me? Girlfriend No. Hot air balloon pilot It takes me about an hour to land this thing so this is now awkward.